Blessed beings, as always it is a precious moment when we meet in your awareness. The most important thing that this time of conscious awareness is teaching you, is how amazing you are. Your divine mechanism is vast. Your physical and subtle body is magnificent. You are coming into full awareness of the magnificence within you. You are beginning to see that every experience and challenge has positive potentials within. When you experience internal growth you begin to shift your awareness and see how capable, brilliant and adaptable you already are. It is simple because life is simpler than it often seems. We know this experience is not always easy. We know feelings are strong and that physicality and challenges are not easy. As your conscious awareness grows, you will begin to see broader patterns in things like politics and taxes. You will see positive potentials within fears and mundane challenges. You will see how they speak of what some people are feeling, and what you are transforming within. You will see the divinity in all experience and the patterns playing out with all involved. Your internal transformation brings new energy into old patterns. This time is bringing into focus your ability to sense beyond the moment of the experience and the challenge, even loving a challenge until it becomes a resolution. Your biomechanism is geared towards love. As you are utilizing more of your subtle energy, life will give you clues as to what is supporting you. It will give you clues about what is requiring change of direction and what is requiring patience. You are learning patience in great detail at this time. Time is constantly moving. Things are constantly changing in the physical. Things that are changing in in the physical are changing more rapidly than they would have without your conscious awareness. It is your subtle focus and the momentum of energy that builds worlds. You are utilizing more of your subtle focus by thinking and feeling consciously. You are decreasing the time frame of physical manifestation. Your manifestation is not instantaneous. It is not meant to be yet. But you will have moments where it is rapid. That is generally something that you are creating that there is not resistance to. And yet, what will create that most readily is patience. Patience is peace in action. It is a very open and flowing state. As you are peaceful and in the present time frame, rather than being worried, life will flow more easily. As you are more and more peaceful, you are allowing life to support you. You are allowing and receiving it more. Patience is a beautiful example of dealing with unconditionality and conditionality. In the physical realm, you have deadlines you must meet. Therefore, you must balance patience with action. When you are patient you are peaceful within. At this point in time you cannot always track progress to know how much you have sped up or slowed something down. But when you are patient and peaceful, it doesn’t matter, because you are open and delighted with life. Whether it is a pleasant moment or not, you are flowing easily with it. Patience is a great ally. In the peaceful state of patience you are open to the flow of life. You receive it within and interact with it easily. As you find greater comfort with that, your energy field opens to the flow of information. Your energy field maintains its stamina and flow. Your choices come from your inspiration. Learning patience is a fascinating experience because your experience is always about participation in life. One of the conditions of this reality is Time. Time is constantly moving. Therefore it is constantly moving within the conditions of this reality. What patience does is it helps you to receive the subtle realms that are less affected by the conditions of time. There are subtle experiences that have no time. You will have subtle experiences that slow or speed your perception of time in this reality. Patience is how you balance action and allowing. It is how you balance directing your energy and allowing your energy. Patience is how you discern your choices of interacting with life. As you find a greater comfort level with knowing all is well, your energy field opens. You are prepared, you are responding, you are adaptable and you are choosing. You recognize that something you may want now will be just as delightful in its own time frame. In that peaceful state you are open to life. Adapting to life easily, interacting with it and responding to it is not just a passive state in this conditional reality. It still requires action, focus and some release. Then it becomes a natural foundation to you. Your interaction with life is peaceful because all is well. Even the challenges have a potential to shift the flow of life. First within you, and at the appropriate time, within the physical reality around you. There are delights within all of it. This is an exciting time you are creating. We understand you don’t always get to see the subtle energy, but you are changing and creating it. At the perfect time you will see the new creation you are creating. It is getting easier, and you are creating this ease. You have a support system that is invisible at this time, but it is here. Seek it out with your heart. Your feelings are taken in by Life. They are honored, embraced, changed and emanated out as resolution. The resolution is already formed, waiting for you to embrace it into physical form. At the perfect time, you will. It is natural to you. You are creating it. You are creating a world that is becoming more interactive with you. A world in which it is easier for the children to maintain their love and empowerment. This will only grow. Embrace it, for it is changing. Delight in the small things and let them grow, because life is changing around you. Embrace it as it is changing, for that will allow the change to occur with much more ease. Your love, your passive force, embraces Life into a new foundation. You are creating a new Earth. Copyright: © 2005-2019 Jamye Price www.jamyeprice.com All Rights Reserved. You are free to share this work for non-commercial use in complete and unedited form with this copyright information displayed in its entirety. I have always received what was needed. In many forms, the information has made itsels aware to me in many ways. Through books, people and experiences. You write very well its always so beautifully put together with a clear intention. Ha…patience is my primary focus atm… Allowing everything to unfold in perfect timing rather than the timing of my impatient inner child that wants to experience everthing now. It's interesting that I was in the throes of releasing another impatience glitch just before I red this…a dark tunnel fraught with doubt and “I don’t understand”... patience is the light I focus on at the end. I choose to act (or ground my timeline) with patience as in the end it saves more time than acting on impatience. 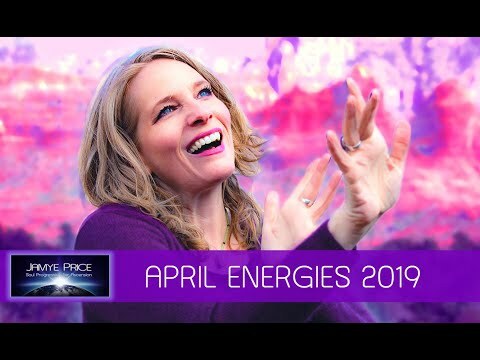 Jamye Price is an energy healer, channel, teacher and student of life. She channels healing energies in the form of Light Language, which are ancient and universal languages that your heart and infinite mind speak fluently. 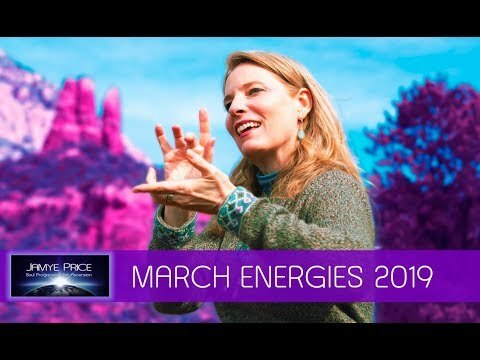 When she is running healing frequencies, she speaks and signs Light Language, tones, emotes, and physically clears energies for clients through Divine Grace.